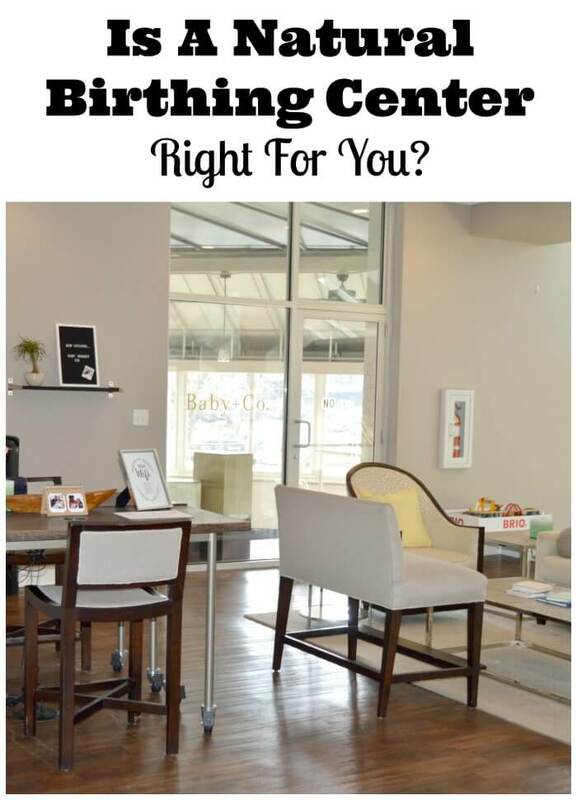 You are here: Home / Parenting / Is A Maternity Care Center Right For You? If you just found out you are pregnant, you are probably full of joy and full of anxiety all at the same time. You have a little blessing growing in your belly and you know you need to begin to prepare for your baby’s birth. The whole process of pregnancy and childbirth does a great job of preparing you to be a parent. For many, the first question is, “Where is the best place to give birth?” As someone who had two natural births myself, I know that answering that question involves doing some research on the various options and trusting your gut on what feels right to you. 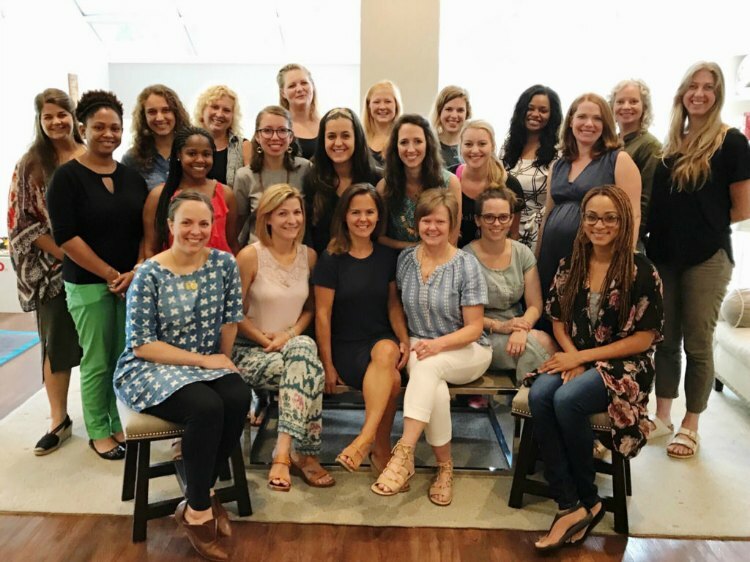 I am happy to partner with Baby + Co., a network of maternity centers designed by women, to help provide information on what you can expect at a maternity care center so you can decide if it is right for you. 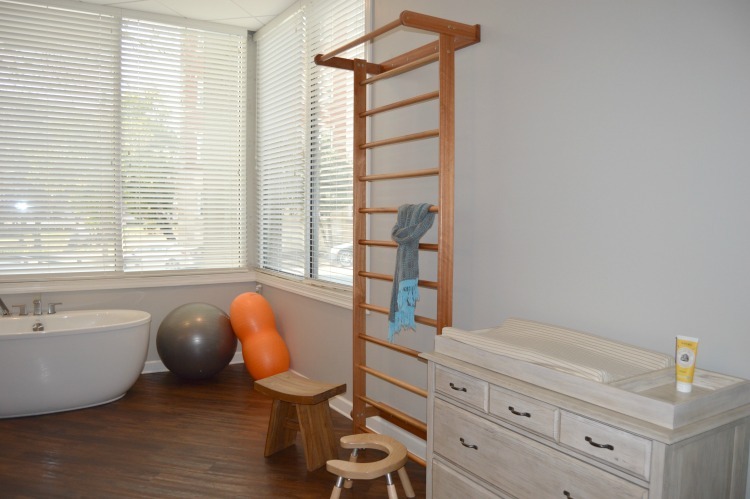 I can’t speak for every maternity care center but I have been to Baby + Co.’s Nashville location myself and checked out their natural birth options. I was able to meet with the staff, tour the various rooms and resources, and have all of my questions answered so I can share a wealth of information of what to expect at Baby + Co. maternity care centers. First, you may be wondering what a natural childbirth is. While it can have different meanings to different people it is generally defined as childbirth with minimal medical or technological intervention. 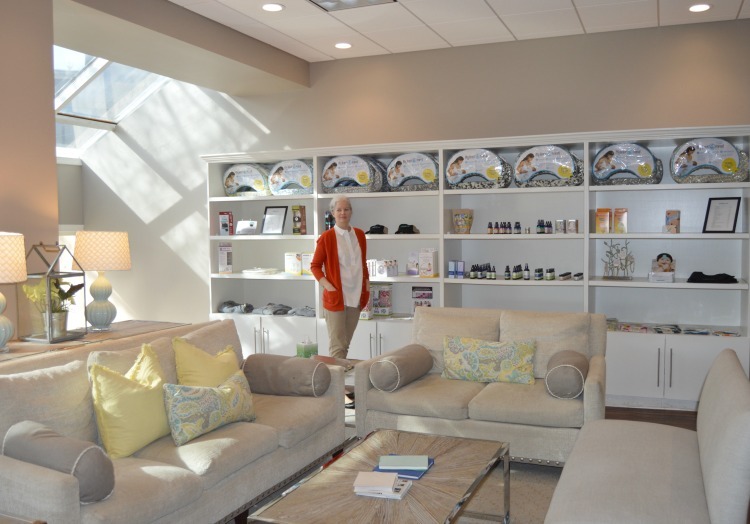 A natural birthing center operates around the principle that women are inherently capable of giving birth without interventions but with the proper support and care. A maternity care center can assist you with your natural childbirth plan. 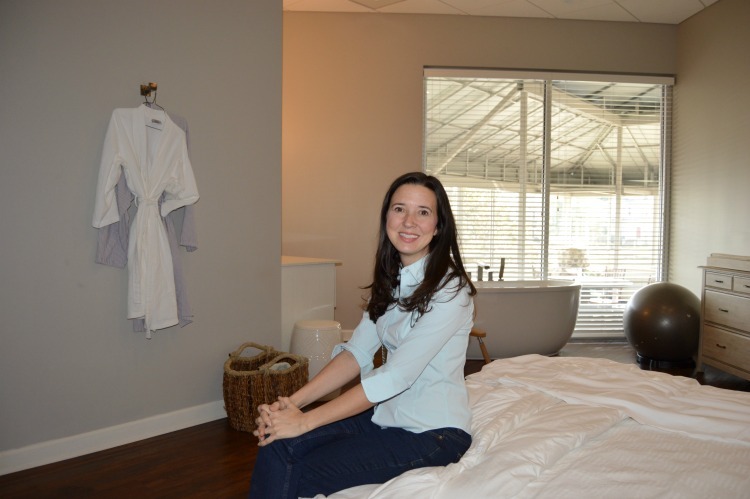 You may not be expecting this but Baby + Co. maternity centers are very luxurious birthing centers. When you enter Baby + Co., you immediately have to appreciate their design aesthetic. It is light and open and you feel like you have entered a posh boutique which you have really- a boutique birth center. Their whole space is like this from the waiting area to the kid’s play area to the kitchen area, to the birthing suites themselves. The exam rooms are more of the traditional doctor’s office but even then you get a cloth robe and those are just for actual exams. 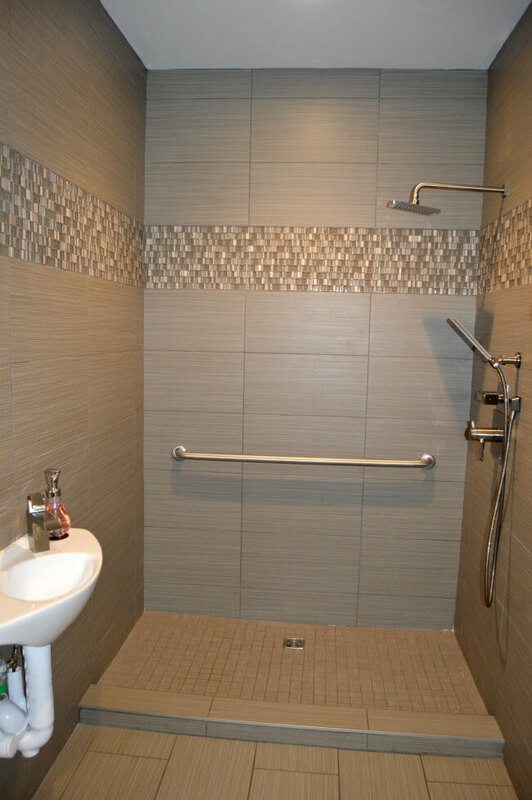 You can meet your midwife in the beautiful birthing suites for most appointments. work together to support every aspect of pregnancy, including clinical exams, fitness, nutrition, mental wellness and birth. They have a staff of highly trained certified nurse-midwives that are highly educated, registered nurses with graduate degrees in midwifery. During your natural childbirth you are attended by one certified nurse-midwife and one RN with constant attention available for the duration of your delivery. Baby + Co. always has a partnership with a close by hospital in case any complications arise. (The Baby + Co. Nashville partnership is with Vanderbilt University Medical Center.) Baby + Co. midwives and nurses are experts in hands-on labor care with practices built on evidence and delivered with love. A midwife delivered both of my children and I can tell you that I could feel her genuine love throughout the whole process- through the appointments and the deliveries- and it still moves me just to think about how wonderful she is. Baby+Co. centers are specially designed state-of-the-art spaces with birth suites set up to ensure the safest and most enjoyable birthing experience. These birth suites are a huge awesome plus. While they look like fancy hotel rooms, they actually have everything you need to deliver your baby in comfort. A sturdy structure that supports you as you try different positions to find comfort or open your pelvis and help the baby come down. You can wear what you want and eat what you want. Kids and families are welcome to prenatal visits and birth if you so desire. These awesome tubs provide relaxation during labor or can serve as a birth tub if you so desire. It is hard to find these tubs anywhere other than water birth centers so they are a great resource. I loved my birthing ball during labor. The midwives are great a helping you with movement and options that relieve childbirth pains but if you need more, they do have some extra options such as Nitrous oxide, TENS unit, and essential oils for aromatherapy. Heated seats and built in bidets. You may be wondering what you will want that for but I can say that you will likely spend more time on the toilet during labor than you ever imagined. 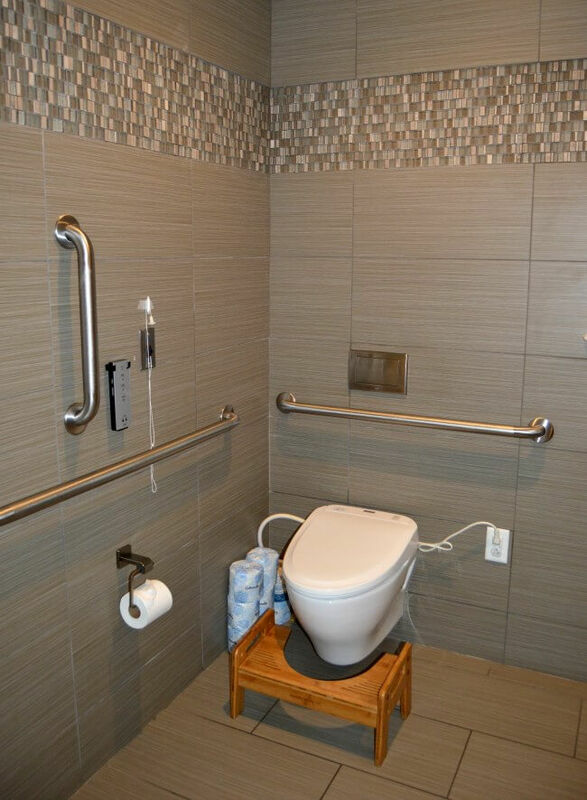 Can be used for aqua therapy during or after labor and is spacious so a partner and midwife can be there to provide support. You control them so you can pick what works for you. 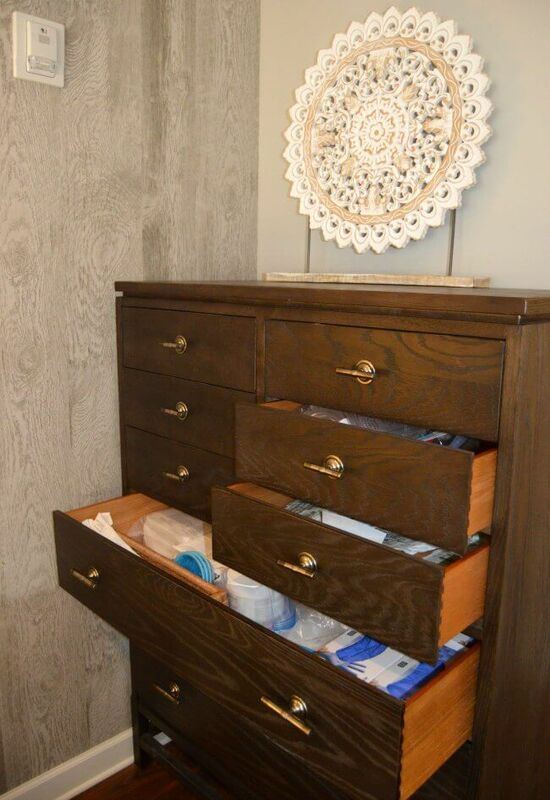 Hidden away in elegant dressers drawers, they have all the hospital equipment they could possibly need. You can get comfortable during labor and when the baby comes, the mom and dad and baby can bond in bed together. It really is a lovely experience that I cherish from my home birth deliveries and this way, you don’t have to worry about the mess! Baby + Co. maternity care centers stand for community and they take a holistic, complete approach to care. Baby+Co. offers health, nutritional, and emotional support from preconception through pediatrics. Part of the way that they prepare and empower mothers is through group education classes that help to prepare parents to enter parenthood with knowledge and confidence on the birth journey, breastfeeding, and even care of new born. These classes also offer a sense of community which can be so important to prevent new mom isolation. Let me just put it out there, I would choose Baby + Co. as the best place to deliver a baby in Nashville (as long as you have a low risk pregnancy). To me, it is the perfect mix of home & hospital. You have all the trained professionals on hand (midwives that you have grown to know through your prenatal visits), a lovely environment to give birth in, all the best labor relievers, and you get a sense of community too. Lovely! If you would enjoy a personal relationship with your midwife where your average prenatal visit is about 30 minutes or longer, then a maternity care center may be right for you! 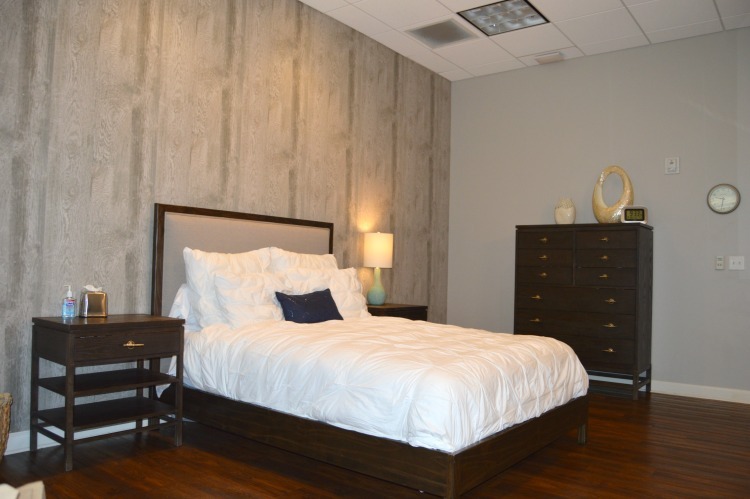 If the sound of giving birth in a spacious, luxurious room appeals to you, well, then baby + co. may be right for you. If you are concerned about winding up with an unnecessary cesarean, then a maternity care center may be right for you. The cesarean birth rate for women with low risk pregnancies in hospitals is estimated to be 25%. baby + co. midwives and nurses are experts in hands-on labor care and their centers are designed to maximize comfort and mobility. Research confirms that this model of care safely reduces the chance of cesarean birth. Baby + Co. Nashville has only a 5% cesarean birth rate for women who begin labor care in the birth center. Want to know another awesome outcome that may interest you in a maternity care center? Between 90-95% of women who gave birth at Baby + Co. are still breastfeeding 6 months after birth. Talk about success! So what will it cost you? Baby + Co. maternity centers accept all major health insurance plans. If they’re out-of-network with your plan, they’ll be happy to talk with your insurance company and give you an estimate your out-of-pocket costs. The overall cost of birth at Baby + Co. is much lower than it is at the hospital so even if they’re out of network with your plan, your out-of-pocket costs could actually be lower than they would be in-network at a hospital based practice. Their staff would be happy to answer any questions about costs. The Baby + Co. maternity care center is not a good choice for women who do not have a low risk pregnancy. It won’t enroll women who are high risk, having multiple births, or those who have previously had a C-section. When I was pregnant, I did a hospital tour and every time I asked a question, they answered, “If the doctor says it is ok.” I found, when it came down to it, I didn’t have many options. Who knew that evidence based, luxurious birthing centers would exist that offer natural childbirth? I am so glad to see more natural birth options available to women. I suggest you get out there and do your research and pick what feel right in your heart for you and your partner. This looks like a relaxing place to give birth. I hadn’t ever heard of, nor seen, a maternity care center before. This is the way I would go if I ever had another child. For sure!